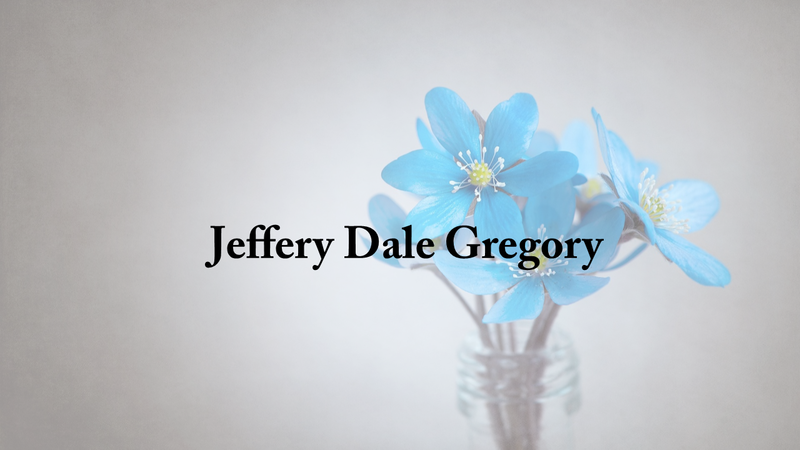 Funeral services for Jeffrey Dale Gregory, 61, of Hanceville will be held at 2 p.m. Sunday, March 3, 2019 at the Hanceville Funeral Home Chapel. Mr. Gregory's family will receive friends at funeral home Sunday beginning at 1 p.m. Mr. Gregory will be laid to rest at the Bethlehem East Cemetery. Mr. Gregory worked at the Hanceville Water Department for many years. He enjoyed his garden, his grandchildren and spending time with his friends. He is predeceased by his infant son, Justin Jerome Gregory and his father Jackie Lee Gregory. He is survived by his daughter, Emily Ferrell (Pat); grandchildren Hank, Margaret, Hannah, Amos and Porter Ferrell, all of Opp, AL; his mother Glenda Hataway of Ashford, AL; sister Teresa Gregory of Orlando, FL and a brother, David Gregory of Valley Head, AL.